HMC is a non-profit, 100% patient-operated cooperative, offering natural alternatives to synthetic pharmaceutical health-care. Our goal is to provide MMJ patients safe and affordable access to premier medical cannabis while acting as a steward of understanding to the medical cannabis community. HMC provides professional, safe, discreet deliveries on a scheduled basis and is located in L.A. County, CA. For more information call (805) 479-9333 or (805) 910-5523 . 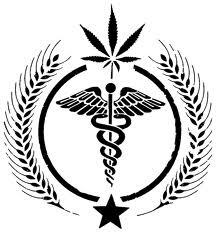 We operate in strict accordance with the California Medical Marijuana Health and Safety Code. ATTENTION : YOU MUST BE A CALIFORNIA MEDICAL MARIJUANA PATIENT WITH A VERIFIABLE RECOMMENDATION FROM A LICENSED PHYSICIAN TO ENTER THIS SITE, OTHERWISE YOU MUST EXIT THIS SITE IMMEDIATELY.